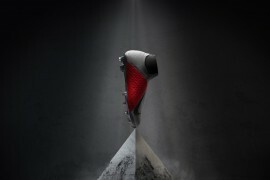 Regular readers of Footy Boots will know that we weren’t too impressed when the PUMA v1.10 was revealed. Certainly in terms of appearance, we thought it left a bit to be desired. However, having tested the boots, we were pleasantly surprised that the performance was right up there. And now, having produced a very decent looking K-Leather version,' PUMA has a strong package that should appeal to attackers and speed merchants the world over. 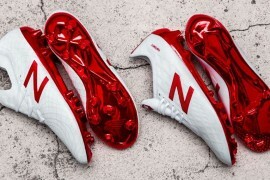 The White / Black / Red colourway may not be as ‘in your face’ as the Yellow / Black / Chilli Red model but with this boot, less is more and for our money, it’s therefore better on the eye. The upper is made up of soft and extremely comfortable kangaroo leather with grip texture. The lacecover creates a smooth kicking surface and a unique look whilst the injected TPU application on the formstripe adds stability to the shoe. The one-piece outsole provides stability and support, utilizing a carbon fibre plate in the forefoot to minimize weight and to increase the reactivity in the flex area. 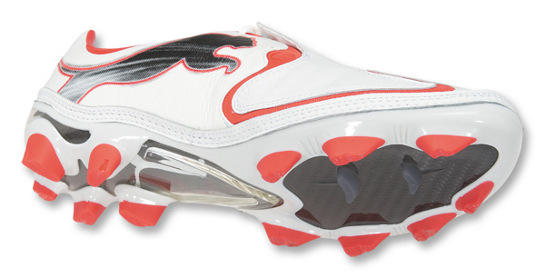 The v1.10 features the second generation of PUMA’s revolutionary UNI technology. This construction provides an industry leading fit by perfectly replicating the unique PUMA AptoLast. 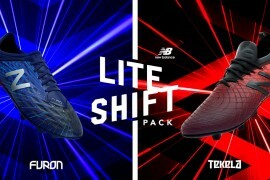 The PUMA v1.10, which comes in at around 232 grams,' retails at £119.99 (and at $199.99 in the USA) and in addition to this new K-Leather model, more of the synthetic versions are on the way. Upper:' K-Leather with grip texture, lace cover, TPU injected external heel counter. 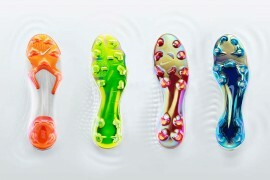 Puma scored an own goal by releasing the V1.10 in those hideous colourways. 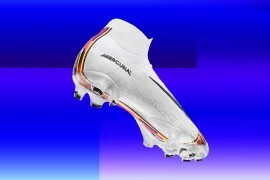 Now that they look OK, and its in K Leather they are not a bad pair of football boots. Boom! Good to see Puma back on form – these are what the v1.10’s should have looked like from the start! Stunning! Have to agree with Kyle. If this colurway had been the first offering it would have been so much better. 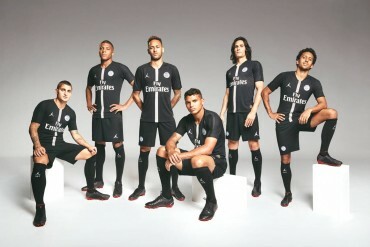 So what on earth were PUMA thinking about putting out that hideous yellow creation when they had these on the back burner? Bonkers! Not a big fan of the design, but this colourway is indeed nice. Funny how it makes the whole boot look way better. and where is the black/gold/red v1.10 ??? i’m maybe getting these are they any good?